Hurricane Kyle struck SW Nova Scotia last night near Yarmouth as a Category One storm but was quickly downgraded to a tropical storm once it hit land and simply fizzled by the time it reached the Bay of Fundy. Thousands did lose power though, tree branches snapped and anything not tied down or secured blew around but generally the storm was not as fierce as predicted. 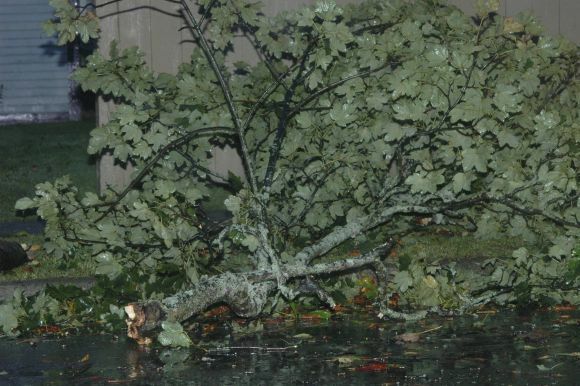 In New Brunswick, Saint John was expected to be in the direct path of Kyle but only 30 mm’s of rain and brisk winds materialized. In Greater Moncton, it was more of a rain event and not much of one at that.